Chippa United have reportedly parted ways with assistant coach Vincent Kobola, just days after axing head coach Eric Tinkler too. Chippa boss Siviwe Mpengesi has decided to further clean house after the club's lackluster start to the Absa Premiership season, which has seen them collect just 10 points from 12 matches to lie second from bottom in the table. 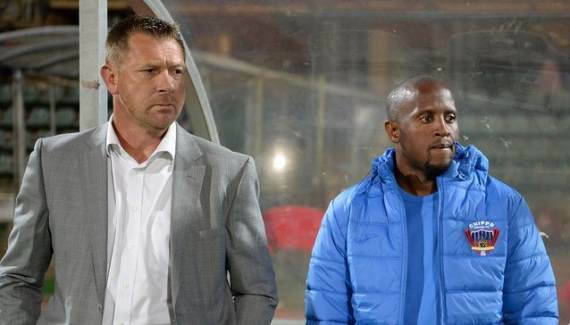 The club confirmed on Sunday that Tinkler had been sacked, and it doesn't come as much of a surprise that the man he brought in to assist him is following him out the door. Tinkler recruited Kobola after replacing Dan Malesela as Chilli Boys head coach in August. Manager Peter Koutroulis is also moving on. "Kobola has also left the club," a source at Chippa said. "The club is set to announce new additions in the technical team very soon." Former Black Leopards mentor Joel Masutha has been named caretaker coach. Chippa next visit mid-table Cape Town City at Athlone Stadium on December 11.